Home/HealthTalks, News & Updates/What’s a Health Score? Health Scores are upcoming in popularity, as a way to engage a person to gain more insight on their overall health. What is a Health Score? How is it measured? What could it mean for healthcare, doctors and in general your health and wellness? 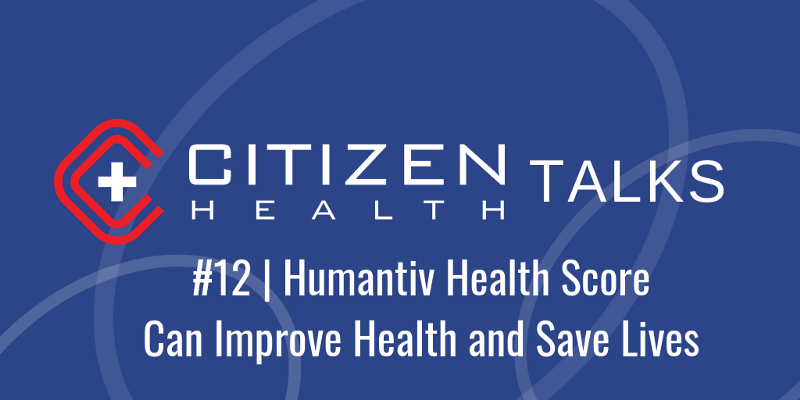 Join us Thursday, September 27th at 4:00pm CT for Citizen HealthTalk #12 on Health Scores. Think about these questions and give us your take on how Health Scores might change health, wellness and healthcare. What is the need for Health Scores in our healthcare system? How could these scores possibly affect the way a person engages with their health? How could doctors use these scores to help their patients in their overall care? Could these scores lead to preventative care or lessening of chronic conditions? How can we motivate people to think more conscientiously about their health? Behavior change is hard, but can a Medit incentive be the answer? Would you accept Medit as a payment for health services? Would you want to buy healthcare and other items with Medit? What can we do to reassure doctors and patients that the data generated is meant for their health only? We seek to safeguard data and we pledge to work for people, never nefariously. What could we do to gain trust in both the medical community and the general public? Why should we engage more with our health? Would you like to make something more of your health? Maybe you just want to track metrics about your physical activity. Maybe you want to prevent chronic illness. Maybe your goal is longevity. Perhaps it is somewhat of a combination. It seems everyone has different reasons for wanting to stay or remain healthy. But health is somewhat elusive. It can be with us one day and begin to fail on us the next. Would you agree with the statement that we probably don’t think much about our health until it starts to fail? And then we panic. We want it back, now. We want vitality, youth, stamina. We want the healthiest version of us! A handful might return to health. Sadly, most will not regain it. Relegated to adjusting to new lifestyles, treatments or medicines- we slip into our new normal. Physical health ailments take a toll on us, our mental health, our loved ones. All too often, illness can engulf entire families. Our epidemic rates of heart disease, cancer, diabetes and obesity only make our goals of being healthy that much more difficult to attain. According to recent statistics, roughly 133 million Americans have at least one chronic condition. If trends continue, our healthcare expenditures will rise to $4.3 Trillion dollars by 2023. We need either a culture shift, a national initiative, or something BIG to seismically shift the way we think about our health and wellness. Genetics, lifestyle, habits, your zip code- all play a part in determining your health and your lifespan. But what if we could transform this? What if we could transcend some of the things that otherwise might afflict us? It might be possible if we engage, invest and otherwise have more metrics circulating around our health. It starts with a Health Score. With the introduction of wearable devices and smartphones, Apple Health Kit and other health-focused digital tools, we are closer to our health than ever before. We can know more about our health daily than in any time in history. We have the science and the technology to get a baseline snapshot of what our health looks like in metrics. We have actionable information that can reveal a lot about our heart, steps, sleep and the overall activity we are producing. But what do we do with these metrics? How do we know we are getting enough exercise or that we are in good to excellent health? What if we need to improve our heart rate, or activity to prevent a chronic condition? We need to take these metrics and generate more data with them. We need a Health Score. There are over 18 products or services that utilize a Health Score. Backed by algorithms, the score crunches your health data to produce a number. Typically, the higher number, the better you are doing in terms of engaging with your health. Here at Citizen Health, we believe that a Health Score should be perfected to the point of medical-grade quality and tailored to your individual needs. If you already have a chronic condition, the score should adjust to you and consider how to best keep you healthy. Our goal is simple: Produce accurate Health Scores that can be reliably shared with your doctor. We want to work to that level of trust and help each person live healthier. The outcome, we believe will foster more preventative care and thus reduce the enormous costs associated with catastrophic and chronic care we have today. Gamification is a concept that entices us to be incentivized for something. Just as you would receive coins, points or something of value in a video game for competing- we can borrow gamification and apply it to our own lives. Our wearables and smartphones are all the hardware we need to make this possible. The activity, steps and sleep we “complete”, we can be rewarded for those healthy activities. Not only will we be generating data that compiles into a Health Score, but when we remain in optimal levels; we unlock the value of that activity and are incentivized for it. If we think about the Pokemon Go craze, that began in 2015 and still holds popularity today; this was one way to get us up, walking around, encouraging us to move and taking more steps. What you received were more Pokemon characters. That may be fun, but try trading those characters in to pay for your medical bills. This is where we get serious about how valuable your activity is. It is worth something. Citizen Health will give you Medit. That Medit will be used to pay for your healthcare and wellness needs. It’s a practical and sustainable answer to healthcare cost in the 21st Century. We need to offset the high costs of healthcare. The Medit that you generate daily can help you do this. It is time to take things like your movement, daily exercise, your choice to take the stairs, or walk to work; and assign them value. Why not earn for these activities? We have a fundamental road map for how we will evolve the Health Score. Beyond just our wearable metrics, we will look at many other data points, including blood pressure, glucose, oxygen saturation levels, genetics, and even into social determinants of health. Don’t be worried, this data is yours alone to help you make informed decisions, improve upon and best manage your health. Share this data with whom you trust. We pledge to be your data ally, working for you, and never to do harm. Therefore, let’s begin to engage with our health, taking our daily activity metrics and generating Health Scores. Let’s use this data to the greatest capacity; maintaining our health and keeping our health. Health Scores are just the beginning to unlocking value and granting us the gift of health. Humantiv. Health Score App. 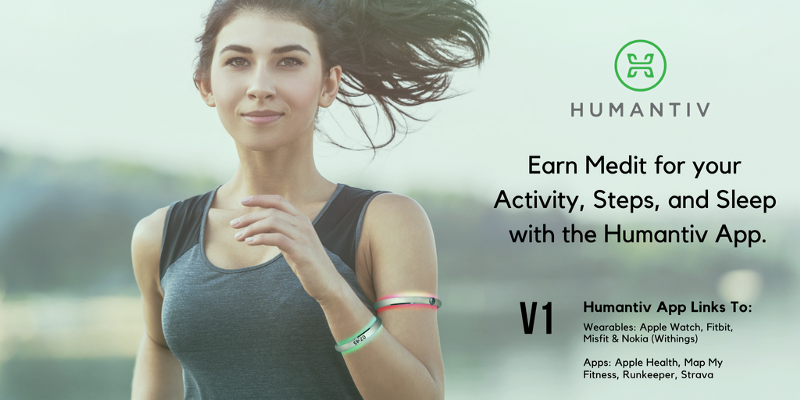 https://citizenhealth.io/humantiv. Accessed September 22, 2018. National Health Council. Chronic Disease. http://www.nationalhealthcouncil.org/sites/default/files/NHC_Files/Pdf_Files/AboutChronicDisease.pdf. Accessed September 22, 2018. Wikipedia. Health Score. Products Using Health Score.https://en.wikipedia.org/wiki/Health_Score#Products_using_Health_Score. Accessed September 22, 2018.